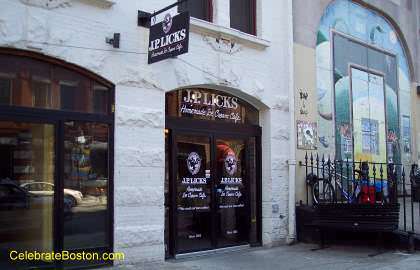 J.P. Licks is a locally owned chain of ice cream stores. There are several stores in greater Boston. Spoil yourself with an exotic flavored ice cream, or with a frozen yogurt treat. Ice cream cakes and coffee are also a specialty.